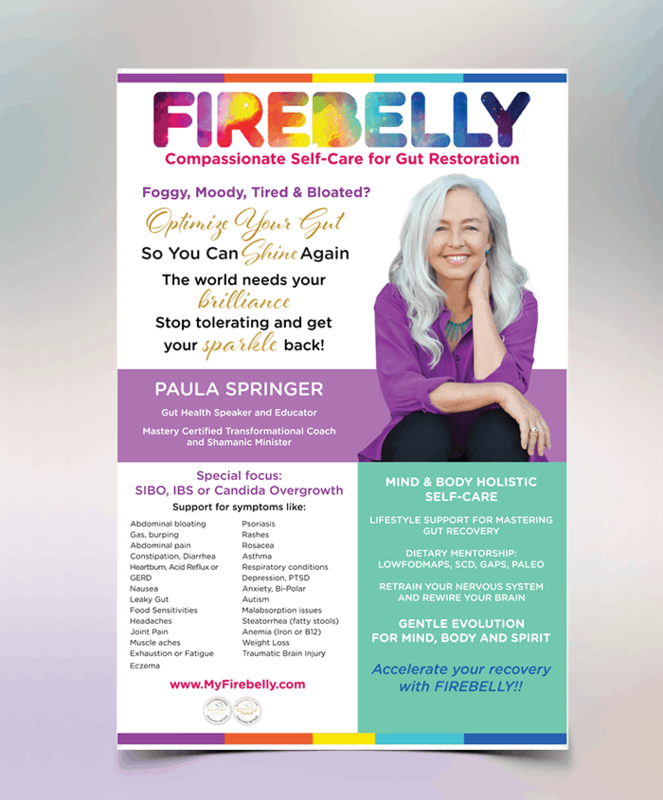 Paula Springer is a transformational wellbeing coach and shamanic minister. She helps people heal their gut problems by finding the root cause and leads them to the right diet, doctors and self care modalities. She is a bright light, and her logo suits her perfectly, full of color and life! Paula came to me for a poster for her table at an eWomen event. She sent me a sketch and I got creative and we ended up a with a beautiful poster. I love doing print design and helping my clients showcase their personalities!